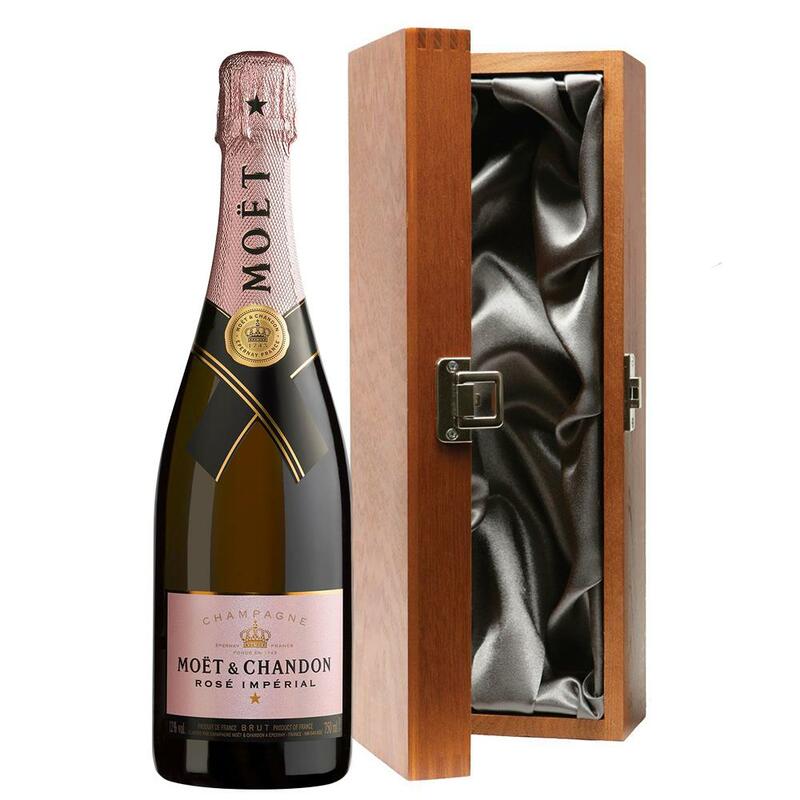 Luxury added to your bottle of Moet & Chandon Rose 75cl - Moet Rose Champagne Gift with the alluring wooden case with hinged lid. The case is made from wood, which is beautifully complemented with stainless steel hinges and clasp. This case adds the ultimate luxury to any gift and is delicately lined with silver satin. 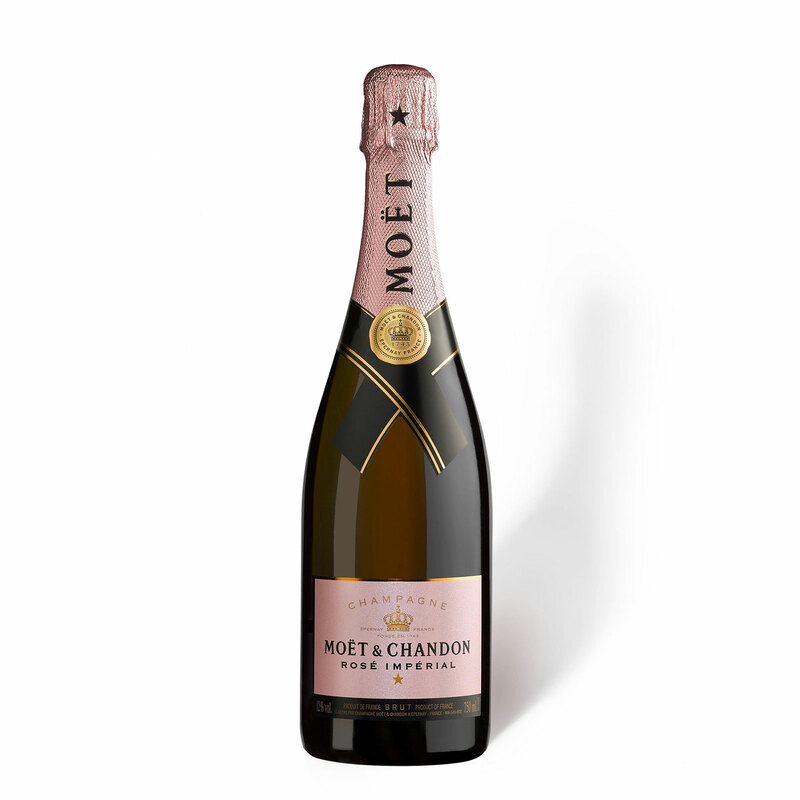 MOET & CHANDON BRUT ROSE CHAMPAGNE Brut Rose is a seductive wine the assemblage which is formed around Pinot Noir is both spontaneous and balanced emphasising fruity liveliness. It is zestful with great suppleness. The assemblage with red wine also gives it feminine coppery shades.Traditional but exciting style of dry rosé designed for dinner. Has a copper color toasty aromas firm texture and subtle fruit and spice flavours that linger on the finish. Sending a bottle Moet & Chandon Champagne any gift impact. If you want to send more Moet & Chandon gifts please see full list below.